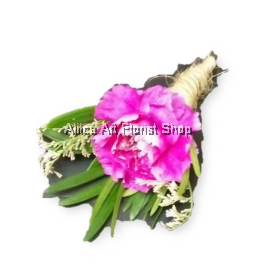 The carnation has been one of the oldest cultivated flowers dating back almost 2000 years. The beautiful carnation flowers have become synonymous with Mother’s Day and have become its official flower since the early 20th century. Christians believe that carnations bloomed on the ground from the tears of Mary when Jesus carried his cross. 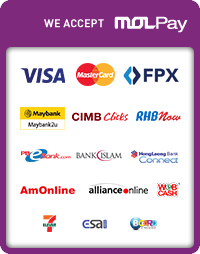 A common gift option, you can easily get carnation flowers online in Malaysia. 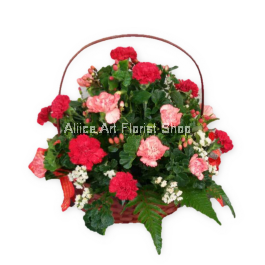 Carnations are hardy perennials that can stay radiant longer than many other flowers. Being known for its gentle ruffles and graceful elegance, carnation flowers are beautiful and meaningful at the same time. 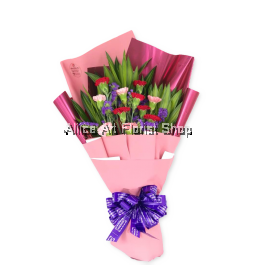 Commonly associated with femininity and love, they are most often a symbol of motherly love. With a variety of colours cultivated throughout the years, the many different shades have diversified the carnation to be more than just a gift for your mothers. 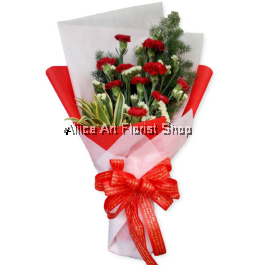 Nowadays, carnations can be the perfect gift of appreciation and show of love for your loved ones. 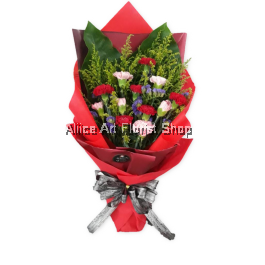 Aliice Art Florist Shop is where you can get carnation bouquet flowers online in Malaysia. 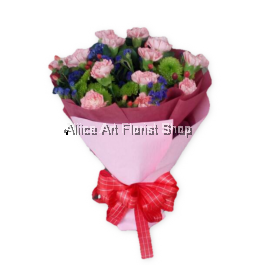 What better way to show appreciation to your mother than a beautiful carnation bouquet. 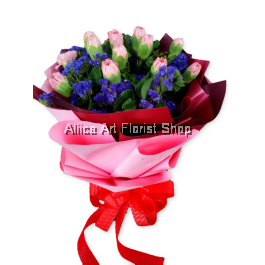 Choose from our selection of pre-arranged carnation bouquet series that will definitely warm hearts. Our professional florists will even be able to cater to your custom requirements for a truly unique bouquet.